Museum will open for the 29th Year on June 12, 2017. See you soon! The country doctor has played a vital role in the history of Wisconsin's great Northwoods. Among giants of the breed was Dr. Kate Pelham Newcomb, who is remembered as the "Angel on Snowshoes" for her dedication in reaching patients when the winter roads were impassable. A physician with a dream, Dr. Kate spear-headed a movement to build a hospital in Woodruff, Wisconsin. The lowly penny became a symbol of the project when local students sought to collect a million of them for Dr. Kate's hospital. The absurdity of it all, a humble Northwoods doctor and school kids collecting a million pennies to build a hospital, captured the imagination of the American people and the world. Donations of pennies came in from every state along with many foreign nations. To preserve this moment with the dedicaiton of one woman and a sense of community made the country cheer, the Dr. Kate Museum was created in 1988. 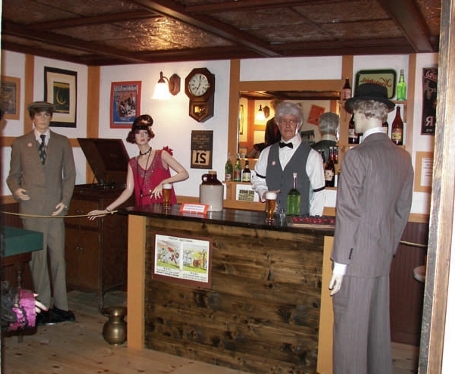 The Dr. Kate Museum/Historical Society continues to preserve the history of Dr. Kate, the long time history of Woodruff and the Million Penny Parade. Please join us by getting involved-- volunteer, donate, create, preserve, dream. 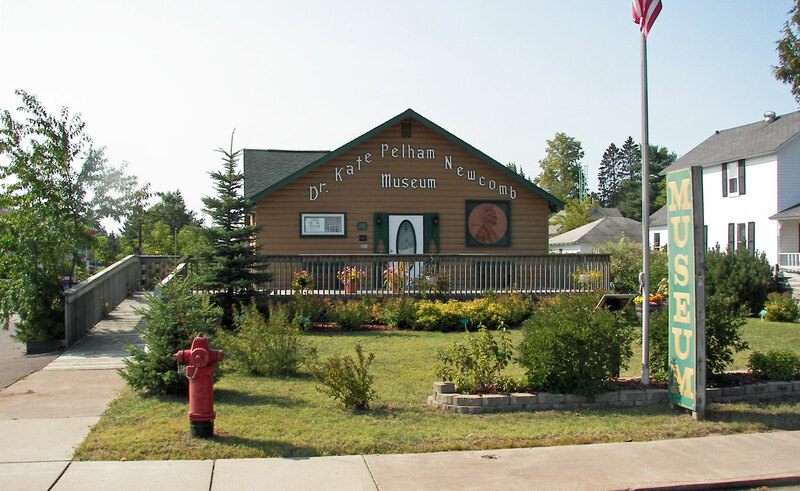 The Dr. Kate Museum is the repository for memorabilia for Dr. Kate Pelham Newcomb, the 1953 Million Penny Parade and Geometry teacher Mr. Otto Burich, AV-W High School and grade school from 1891-Present and the Town of Woodruff history. The 1954 episode of Ralph Edwards television show "This is Your Life" is shown. 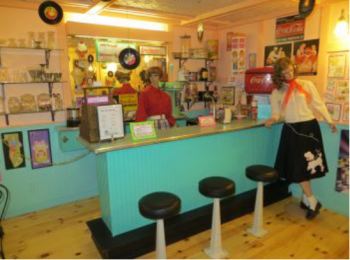 The museum also presents exhibits about the "Nestledown", a favorite Woodruff business of the past, a nostalgic look at the "Golden Age of Television", a jukebox playing 1950's favorites, and a player piano. The Dr. Kate Museum is open the 2nd Monday in June through the Friday prior to Labor Day. hours are Monday-Friday 11-3. Admission by donation. Special group tours are available by appointment. School field trips and bus tours are welcome by appointment. Presentations may be scheduled for churches, schools, or civic and fraternal organizations at their locations. Educational material is available to students outside the Lakeland area by request.